with Eastwood’s 4-step paint system! Eastwood’s been providing paint products and expert advice to DIY painters since 1978. It’s our dedication to you and your project that sets us apart from “the other guys.” No matter what your level of experience, we want your project to turn out exactly as you had envisioned, so you’ve come to the right place. Simply roll over any of the 4 paint steps on the left hand side of this page for more info, or click on a step for everything you’ve ever wanted to know about that step—videos, tips & tricks, FAQs, recommended products, and more! A show-ready paint job is only as good as the time you put into preparing the surface. Repair dents, scratches and other imperfections with Eastwood’s Base Prep process! 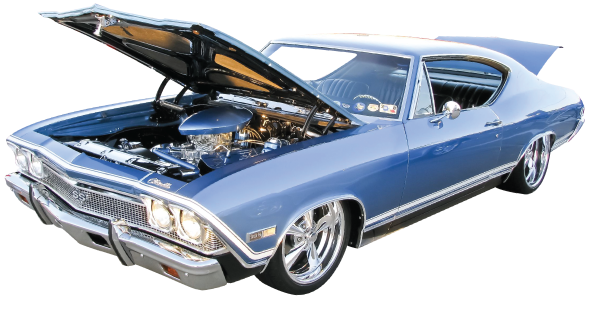 Learn how to fix dents and bodywork imperfections with body filler, sand it to perfection, and prime with the correct primer for your project. 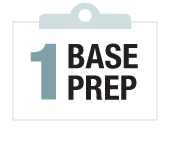 Click on this paint step for videos, tips & tricks, FAQs, recommended products, and more! 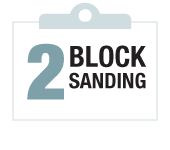 Fine-tune your metal to achieve perfectly leveled surfaces and razor-straight lines! In this next crucial step, you’ll learn how to fix minor imperfections with glazing putty, apply multipule coats of Contour Polyester Primer-Surfacer, and block sanding techniques that lay the final foundation for optimal paint adhesion. Click this step for videos, tips & tricks, FAQs, recommended products, and more! 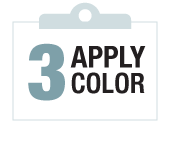 Picking a color is a personal, yet exciting decision, but most DIY painters may not know their options. Here comes the fun part—picking your color! Are you painting in California? Do you prefer a single stage urethane or basecoat/clearcoat? These are some of the questions you’ll have to consider before purchasing paint. Your answer could determine what you can spray in your state and what colors and clears are available. 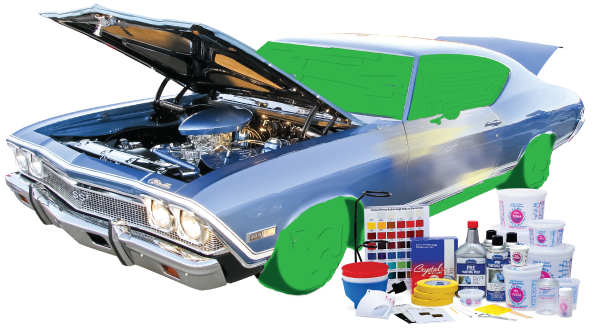 Applying a clear coat builds dimension, gloss and adds UV protection for a professional, show-ready finish. Adding a clear really makes your paint pop. It adds UV protection, but also adds a layer that you can sand and buff to a glass-like shine. 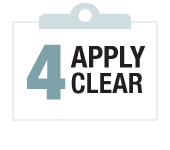 Although not required on a single stage paint, clear can be added for more depth and durability. 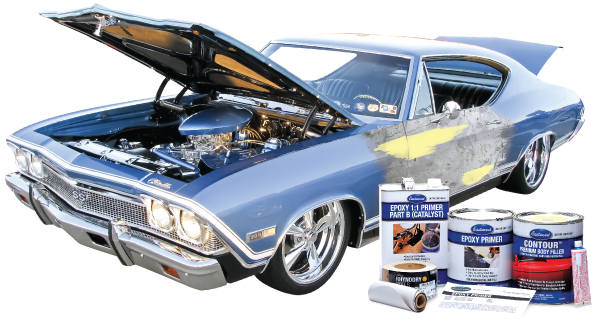 Painting your car like a pro is easier than ever with Eastwood’s 4-step paint system! Simply click any of the 4 paint steps along the top of this page for more information. Watch videos, read articles, check out frequently asked questions, and tips and tricks on how to fix dents and bodywork imperfections with body filler—sand it to perfection, and prime with the RIGHT primer for your project. Fine-tune your metal to achieve perfectly leveledsurfaces and razor-straight lines! In this next crucial step, you’ll learn how to fix minor imperfections with glazing putty, apply multipule coats of Contour Polyester Primer-Surfacer, and block sanding techniques that lay the final foundation for optimal paint adhesion. Click the button below for videos, tips & tricks, FAQs, recommended products, and more! Here comes the fun part—picking your color! Are you painting in California? Do you prefer a single stage urethane or basecoat/clearcoat? These are some of the questions you’ll have to consider before purchasing paint. Your answer could determine what you can spray in your state and what colors and clears are available. Click the button below for videos, tips & tricks, FAQs, recommended products, and more! Adding a clear really makes your paint pop. It adds UV protection, but also adds a layer that you can sand and buff to a glass-like shine. 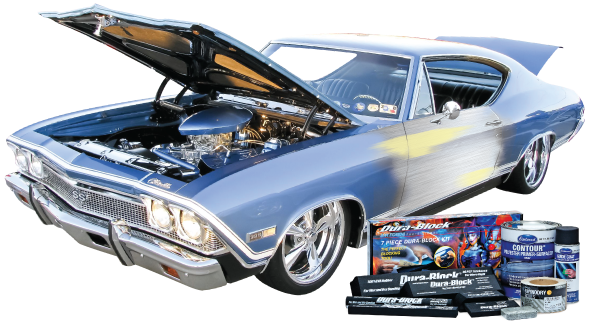 Although not required on a single stage paint, clear can be added for more depth and durability. Click the button below for videos, tips & tricks, FAQs, recommended products, and more!